Geography students at The Sixth Form College, Solihull travelled to Morocco to complete coursework this month. A group of A level students spent 5 days in the High Atlas Mountains and Marrakech in Morocco. They were collecting primary data for their Independent Investigation coursework. 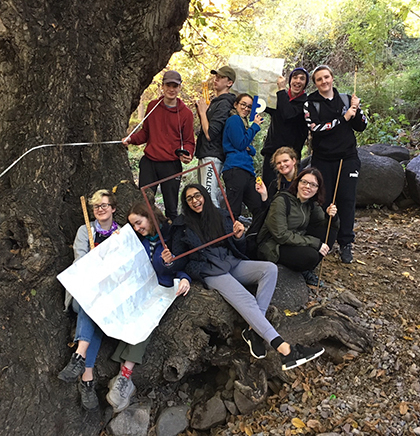 Among the fieldwork completed, students collected data on micro-climates, carbon capture and river velocities. While in Riad Atlas Toubkal, in the Imlil Valley, they completed their work amid the backdrop of snow-capped 4,000-metre peaks of the highest mountains in north Africa. They were supported by a Berber mountain guide, who helped the students to stow their field work equipment in the panniers of their mule. As well as their time in the Atlas Mountains, the students spent day in Marrakech, excited at the prospect of haggling for bargains in the world famous souks.